In this fourth episode of the Corvette Chief Podcast, Dave shares his thoughts on the most recent High Performance Corvettes. We are very excited about the launch of the Corvette Chief Podcast and the response from each of you in the comments area of the posts. Dave is already working working on the next round of podcast episodes as well as a few video installments as well. Please have a listen and be sure to leave a comment and let Dave know what you think. This entry was posted in podcast and tagged chief, corvette, dave, dave+mclellan, mclellan by dhubcap. Bookmark the permalink. I enjoyed your podcast, this is a great idea, and I will tell my NCRS friends to tune in and also enjoy. I have a 93 Ruby ZR-1 that is going thru the NCRS system. I anticipate I will be going for your namesake award in 2009 in San Jose, Ca. I hope you will be their to place some kind of memento on the underside of the hood or on top of the engine. God willing, and the creek don’t rise. Thanks for all your great ideas and passion of our beloved Corvettes. Love all four of your postings. We are so fortunate that you take the time to post your thoughts. Without them we would always be second guessing ourselves as to how things really evolved. Keep up the great work. 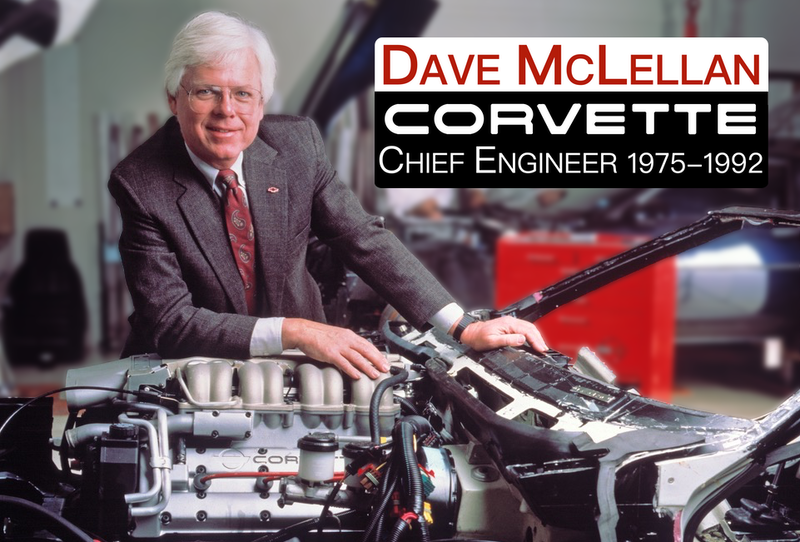 Dave – You are a gift to all Corvette enthusiasts. Thanks for your continuing support and belief in the Corvette. My 94 ZR1 is an amazing car even with 100,000 plus miles on it. It has received a bunch of TLC to get it back to and beyond its new performance. Thanks again for sharing. I especially liked hearing Zora. Doug PS I am a goofball than has three and want more. Fantastic Podcast. I love to listen to the Legend telling about other legends. For a Corvette enhousiast it is like listening to Chopin in front of a fireplace on a cold winters eve. Enjoyed the talk. I am looking forward to discussions on the engineering challenges for the C4 and ZR 1. Hope Dave continues.